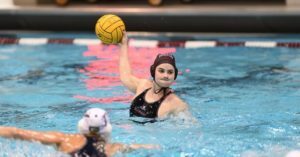 There were a few slight shifts in the Week 13 CWPA Top 25 poll after a week in which the rankings held with regards to results. The Week 12 ties were broken at #6 and #18. 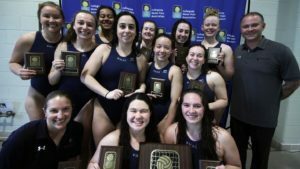 Rankings held across the board as there were no upsets among the CWPA Top 25 on Week 12 of women’s water polo action, but the CWPA Division III title was awarded as were a handful of other conference crowns. SAN FRANCISCO – Pac-12 Networks today announced its remaining live broadcast schedules for fall 2018, including its selections for men’s water polo, field hockey and cross country events. In men’s water polo this season, Pac-12 Networks is set to again televise seven matches. Its coverage begins on Saturday, Oct. 6 with USC at Stanford. The 2018 season will be the 50th in Cardinal’ history as Stanford enters the year with an all-time record of 997-308-8, just three wins shy of its 1,000th victory. 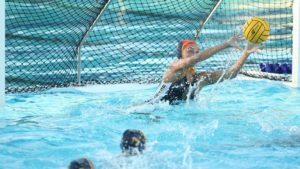 USC returns to the pool this year in hopes of a 14th-straight NCAA final bid after falling to UCLA last year in the championship. The defending 2017 NCAA Champion UCLA Bruins are set to make their first appearance on Pac-12 Networks on Saturday, Oct. 27 against California. The Bruins won the programs’ 11th national title and UCLA’s 114th NCAA Championship in 2017, finishing the year at 21-4. 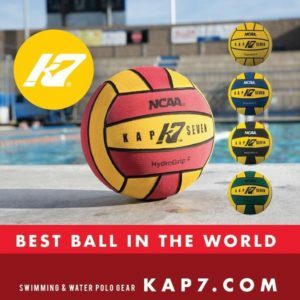 Pac-12 men’s water polo teams have won 20 of the last 21 national championships, with the California leading the way with an impressive 14 titles, the most of any program. Two women’s field hockey matches will be televised live on Pac-12 Networks in the fall of 2018, both between Stanford and California. Stanford will travel to California on Friday, Oct. 12 for a 4 p.m. PT / 5 p.m. MT game. California will meet Stanford at their home on Sunday, Oct. 21 for a 1 p.m. PT/ 2 p.m. MT start time. Pac-12 Networks will also again televise the 2018 Pac-12 Cross Country Championships live on Friday, Oct. 26, the second-straight year of live coverage for the championships. The women’s championships will begin at 11 a.m. PT / 12 p.m. PT and the men’s championships will follow at 12 p.m. PT / 1 p.m. MT. Last season, four Pac-12 Conference teams posted top-five performances and 18 runners earned All-America honors at the 2017 NCAA Division I Men’s and Women’s Cross Country Championships. The Pac-12 women finished three top-five teams and saw a national-best and Conference-record 14 All-Americans. The entire 2018 schedules for men’s water polo, field hockey and cross country are available at Pac-12.com.